I'm looking for an algorithm to find a set of largest inscribed rectangles of a concave polygon where each rectangle must be collinear with one of the edges of the polygon. In other words, I want to continually cut my polygon down using rectangles until I am left with regions were the largest-inscribed rectangle is not sharing an edge with the original polygon. Is there a known algorithm for this? I am hoping to split up the questions so I can attract better answers. Browse other questions tagged co.combinatorics cg.comp-geom or ask your own question. 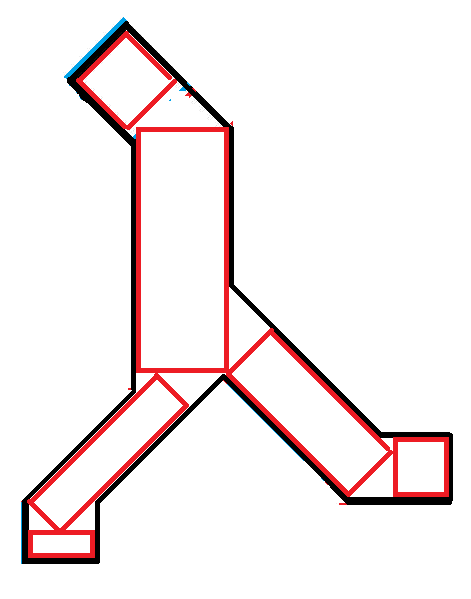 What defines a “decent” polygon?